The build. A glimpse of the student perspective. Students were organized into task-based teams at the outset of the semester; this organization was flexible, however, and students often found themselves either working on several teams at once, or changing teams over the semester as the tasks are accomplished or the understanding of the building and its construction requirements evolved. Each of the teams was responsible for producing the drawings used to construct their designs. Teams then proceeded to construction of their work once the instructors and the studio had approved the drawings. This process was repeated many times over the semester to produce a fully viable version of the building element for which they are responsible. Design and construction documentation, project execution and delivery, project timeline coordination with project managers and subcontractors, material acquisition, job-site organization and management, construction means and methods, as well as job-site safety and procedures. A difficult issue presented by the nature of the competition was solving the problems of logistics: how does each team ship their houses to Washington D.C. in a way that is both unintrusive on the mechanics and function of the building, and efficient/safe for transportation? SCI-Arc and Caltech took an innovative approach to solving this question. The CHIP house was designed to dismantle into four modules utilizing sophisticated, student-designed bracing. This system allowed for highly calibrated maneuvering of the four modules as they were pulled apart and placed individually on the back of thirty-foot flat bed trucks. This unorthodox strategy provided our team the advantage of unprecedented ease of assembly in Washington D.C. 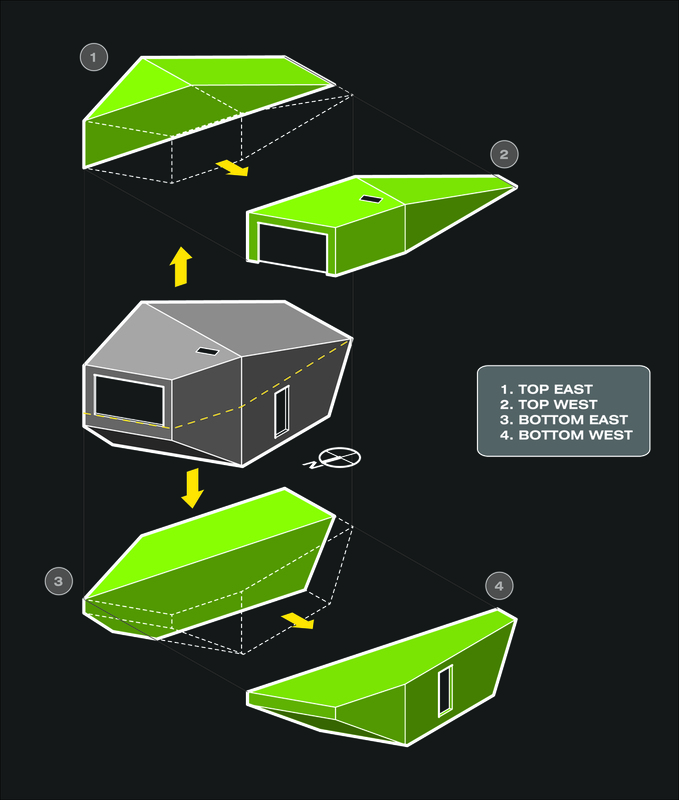 The SCI-Arc/Caltech Team splits up their Compact Hyper-Insulated Prototype solar home into pieces and trucks it off to D.C. for the Big Show (i.e. 2011 Solar Decathlon). 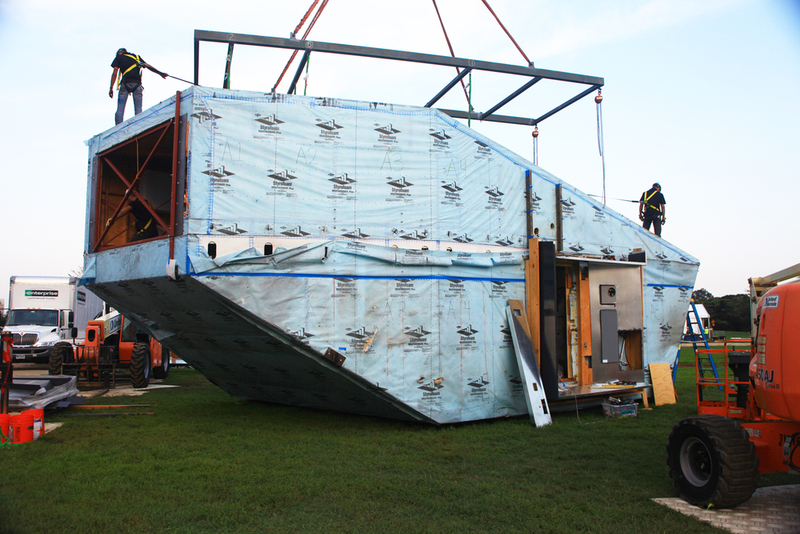 In as little as six hours, the house could be reassembled at its new location, each module locking the other in place.